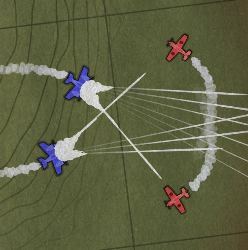 Take command of a squadron of aircraft and obliterate all the enemy planes from the sky in this turn-based top-down dogfighting game. The game is set in an alternate timeline where cold fusion was invented in 1835 and the planes you command are powered by super heated steam. 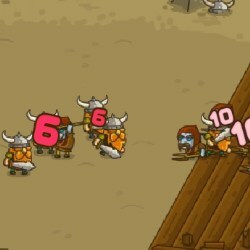 Play through a series of missions and advance your rank by claiming victories along the way. 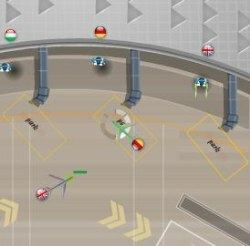 Drag the control markers using the MOUSE and LEFT MOUSE BUTTON to change the path of your planes, hover over the control marker for additional options, and hover over your plane using the MOUSE to see its health and stats. LEFT CLICK on the end turn button in the top right or press the SPACE BAR to end your turn and play out the next moment in time. 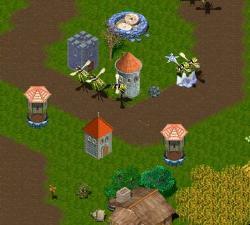 LEFT CLICK and drag the screen or use the WASD keys to scroll the map. Use the MOUSE WHEEL or the Z/X keys to zoom in and out. Press the ARROW keys to recenter the screen on your aircraft. Click here to send SteamBirds to your friends using your default email program.